SASES, through its partner Elgin Separation Solutions (“Elgin”), will be providing its unique MIST ECO Systems technology to the Abu Dhabi Oil Refining Company, Takreer. The project involves a combination of MIST engineered systems collaboratively developed with Elgin and unique SASES chemistry for waste drill cuttings and oil slops treatment. SASES has successfully deployed this process and chemistry worldwide for over 15 years. The project covers the implementation of a full turnkey waste drill cuttings treatment facility with the capability to process drill cuttings and liquid oily slops and oil sludge wastes. The systems are designed to operate for at least 10 years and will allow for oil and water recovery from a variety of oil-based drilling wastes. Producing treated dry solids will eliminate the need for stabilizing oil waste, which will further reduce the volume of solid waste by up to 95%. 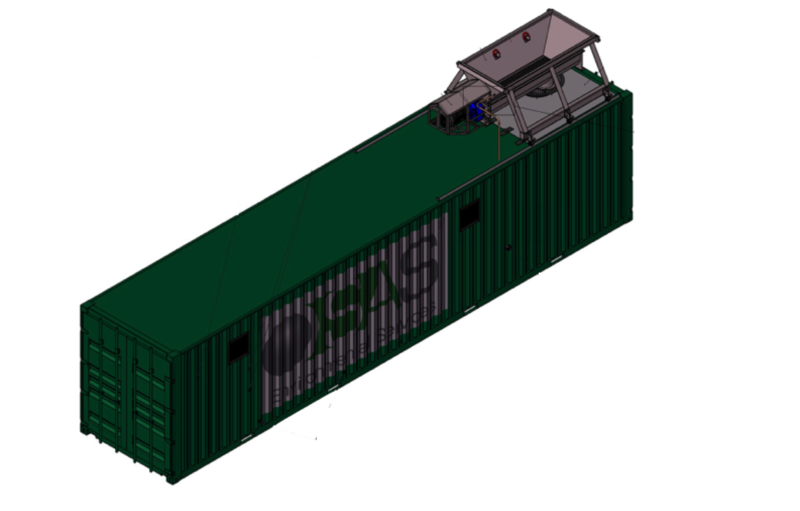 SASES and Elgin have worked together in the development of the mobile oil waste treatment systems known as the MIST ECO Systems. These mobile oil waste treatment systems are used around the world for the treatment of oil waste such as oil contaminated drill cuttings, refinery waste, tank bottoms waste, legacy oil sludge, heavy oil sludge and liquid drilling mud slops. The unique SAS SlopTreat and SludgeTreat chemistry allows for these waste materials to be split into high quality oil, water and dry solids. MIST systems use little energy and are capable of treating up to 60 tons of drill cuttings per hour. Oil slops and oil sludge waste can be processed at 3 – 120 m3 per hour. It is estimated some 3,000 tons of drill cuttings per year will be treated at the facility and up to 5,000 tons of oil sludge and oil slops waste. The unit being used for this project is due to ship out of Houston after its final inspection in just a few weeks time, we're excited for it to get started! SAS Environmental Services Ltd has offices in Livingston, UK and Houston, USA. Elgin Separation Solutions is based in Houston, Texas. USA.